Epson, the number-one selling projector brand worldwide1, today introduced two 3D projector solutions designed to enhance the learning experience in classrooms – the PowerLite® W16 and W16SK. 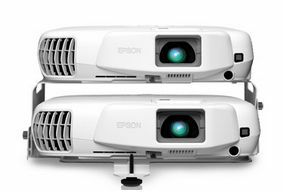 Epson is offering two 3D projection choices – one based on active 3D technology and the other on passive 3D technology – which both deliver three times brighter colors than most competitive projectors2, allowing 3D content to be easily viewed in typical, well-lit classroom settings. The projectors also offer a wide range of features including easy setup and connectivity options, bringing ease of use and convenience to the classroom at an affordable price point. The PowerLite W16 and W16SK will be shown at the Epson booth (#709) at FETC in Orlando, Fla., Jan. 28-31, 2013. By offering both an active and passive model, Epson is able to provide broader choices for educators selecting the right 3D projection solution for their classroom. The PowerLite W16 and W16SK deliver WXGA widescreen resolution and, unlike most 3D-ready projectors, support multiple HDMI 3D formats4 out of the box, with no external converter box required. The Epson PowerLite W16 is designed for educators interested in an active 3D projection solution and offers great image quality, brightness and ease of use with Epson’s active shutter 3D RF glasses. The PowerLite W16 also offers a dynamic 2D visual experience with 3,000 lumens of color brightness and 3,000 lumens of white light output5. The PowerLite W16 requires minimal set-up with automatic vertical and horizontal keystone correction, 3-in-1 USB Plug ‘n Play and the option to install or remain as a portable projector. The PowerLite W16SK dual projection system is the industry’s only stacked projector kit available today made specifically for education. This highly cost effective 3D solution includes two projectors, polarizing lenses and a stack mount to deliver ultra-bright passive 3D projection. The PowerLite W16SK uses inexpensive passive 3D glasses, priced at only $3 a pair and sold as a box of five pairs. It delivers up to 6,000 lumens of color brightness and 6,000 lumens of white light output5 in 2D mode when stacked, making them bright enough for well-lit classrooms. Epson also offers the Brighter Futures program, a unique sales and support initiative available specifically for schools. Designed to help educators select and implement the best products for their classrooms while making the most of their budgets, Brighter Futures offers special pricing, extended Epson limited warranty coverage for three years, dedicated education account managers, and toll-free technical support for all Epson projectors and associated accessories. The new color brightness specification (measuring red, green and blue) published by the Society of Information Display (SID) allows consumers to compare projector color performance without conducting a side-by-side shootout. With today’s high definition content, teachers and students want to enjoy content with higher quality in brighter environments. For a truly impressive image, projectors need to offer both high color brightness and high white brightness. High color brightness also enables an even better image for larger screen sizes and on a larger variety of screen materials. Without sufficient color brightness, images may be muddy, soft and lose detail, even in a dark room. 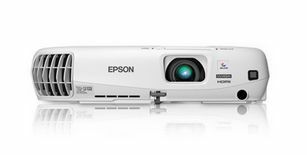 Epson’s line of education projectors delivers consistent color brightness and white brightness, allowing students and teachers to view life-like reproduction of any content. The Epson PowerLite W16 ($849) and W16SK ($1,899) will be available in January 2013 through pro audio/visual dealers, mail order, distribution, commercial channels, and at www.epson.com. Epson’s PowerLite projectors come with a two-year limited warranty (three years for Brighter Futures customers) that includes two elite technical support services – Epson PrivateLine® phone support with direct access to an expedited support telephone line, and a two-year Road Service projector replacement program that includes projector exchange in one business day with paid shipping. For additional information, visit www.epson.com/projectors.